Please join GVSHP and a citywide coalition of small business advocates this Monday as we fight for legislation that would help protect small businesses throughout New York City and fight empty storefront syndrome. Join us at noon on the steps of City Hall for a rally in support of the Small Business Jobs Survival Act (SBJSA). Then join us at 1pm for a public hearing on the bill in City Hall. 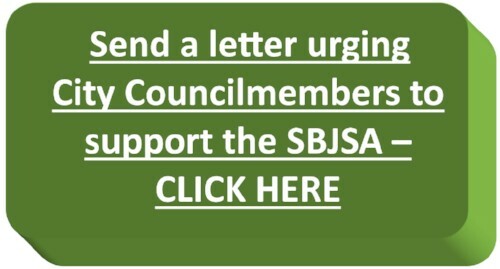 The SBJSA would ensure that small businesses in good standing cannot simply be denied lease renewals, and would help ensure the terms of the renewal reflect fair market value, not hyper-inflated rents that keep stores empty for years. Small businesses and our neighborhoods need help like never before! ATTEND THE HEARING AT CITY HALL 1PM MONDAY – USE THIS SAMPLE LETTER AS SAMPLE TESTIMONY.